I have been pretty religious on my skincare lately and despite my determination to exfoliate and mask regularly, nothing beats a good, proper facial to aid in skin maintenance and help clean out all the gunk that is beneath the skin surface. 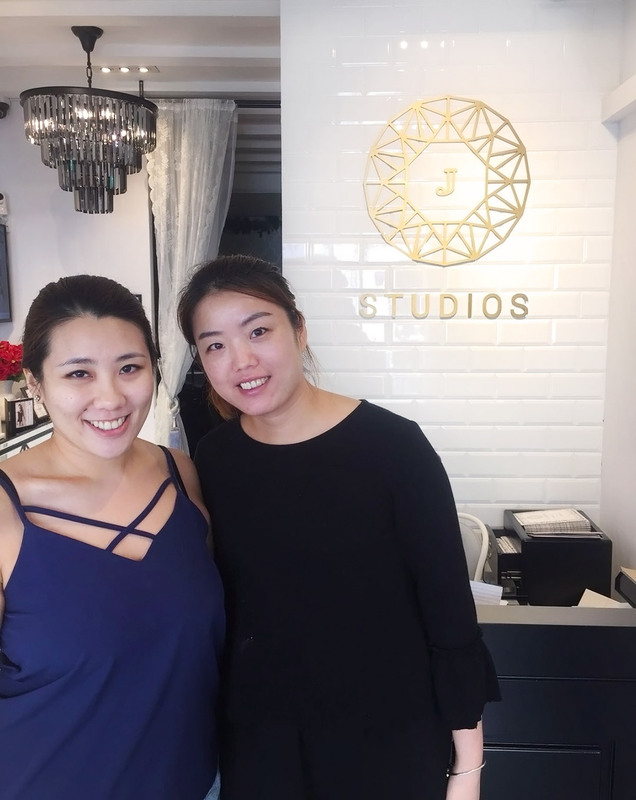 Recently, I had the lovely opportunity to drop by J Studios, which opened their flagship outlet right at Haji Lane, to try out their Signature Oxygen Deep Cleansing Facial. 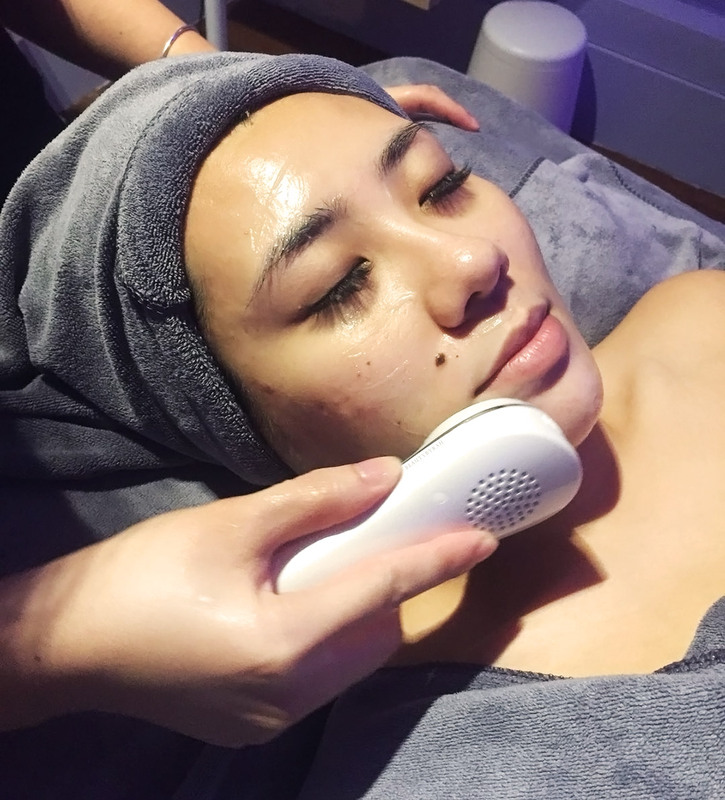 An oxygen facial is basically the pumping of oxygen at high speeds onto the skin which bypasses the surface of the skin (the epidermis) to help deep cleanse the follicle and sebaceous glands in the dermis and subcutaneous layer. If you're not sure what the different layers of skin are, this article breaks it down easily imo. Applying the different skincare products, face mask and exfoliants at home target mostly the epidermis as these are topical (aka applied to the skin). A lot comes in play here, such as the pH of the product (which affects how the various products are absorbed or work on the skin), ingredients used, and order of layering. Despite some products claiming to target the dermis, it does take a while for the skincare product to produce the expected results, if any. Thus, I do think that a professional facial is necessary every once in a while for deep cleansing and maintenance of the skin. The oxygen deep cleansing facial helps to deliver oxygen, moisturiser, vitamins, antioxidants and other replenishing nutrients to skin through the use of the airbrush (or to help you visualise the pumping of oxygen, think of those power hoses you would use to give your car a deep cleanse). 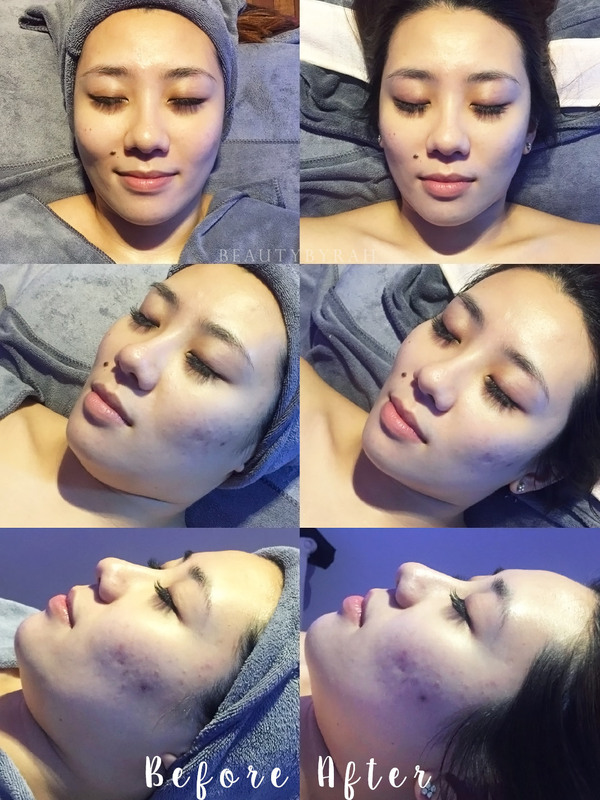 The pressure of the airbrush helps to deep cleanse the skin beyond the skin surface, plump the skin up and increasing blood circulation to help boost collagen production and skin whitening. From some articles I've read, oxygen benefits the skin by helping stimulate the body's natural healing function and stimulate collagen production. It is also anti-inflammatory and anti-bacterial. I did used some products which tend to bubble up due to the oxygenation, but this treatment is just way more intense and effective. This treatment is also said to help with troubled skin and clear acne as well. The new flagship store is located at 31 Haji Lane, which is roughly about a 5-10 minute walk from Bugis train station. 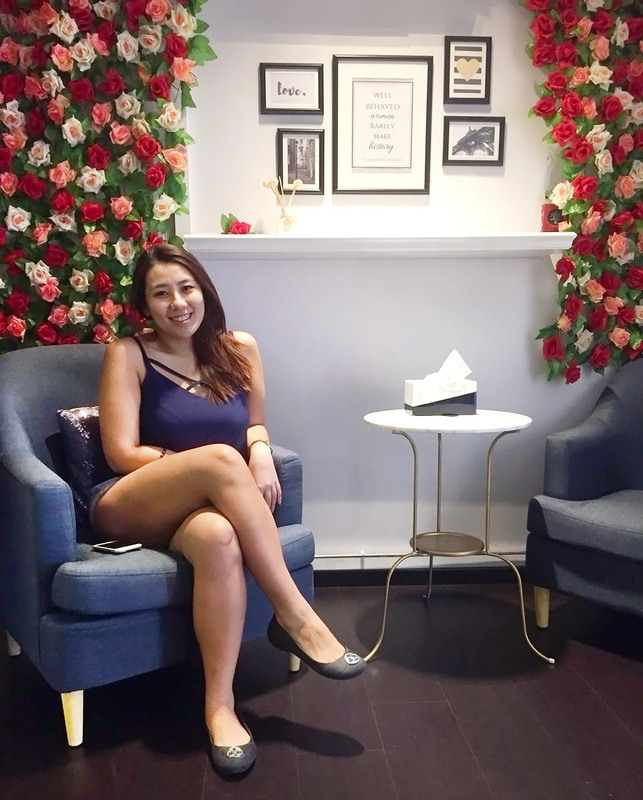 Besides facial treatments, they also do provide hair and body treatments, nail services and other beauty services such as eyebrow embroidery and eyelash extensions. Upon stepping it, I did enjoy the clean yet cosy vibe that the interior provided. A lovely chandelier greeted me at the entrance and the various decor items did exude hints to luxury. After settling in, I was brought to the Lavender room. They do have 4 themed rooms available - Lavender, Blue Chamomile, Calendula and Rose - with matching scented candles and room accent colours. The very first step was a neck and shoulder massage which I throughly enjoyed. This is perfect in helping me relax and enjoy the treatment subsequently. After some mild extractions (which did not hurt one bit by the way), we proceeded with the oxygen facial. Despite its description, this procedure is not painful in any way. It just felt like a blast of cool air on the skin and I did experience some pressure on the skin but it was not uncomfortable nor unbearable. In fact, I did enjoy it as I imagined all my gunk being blasted away bit by bit. Along with the oxygen, a serum is also included in the mix to provide hydration and nourishment to the skin. You can opt to add an ampoule with the step as well, to further increase the benefits. Right after using the machine, I could see a difference in terms of skin texture and tone. My skin definitely looked smoother and more hydrated and the darker tones around my forehead and lower jaw area was visibly reduced. You can take a look at the images below to compare for yourself. Following that, my therapist applied a serum to the skin and used a cold plated machine to help in its absorption. The cold plate helps to calm the skin down and close the pores after it absorbs all the goodness from the serum. I always enjoy this step, as it feels really soothing and relaxing. Lastly, I had a lavender infused mask applied to the skin to aid in calming and hydration and a head massage at the end to top everything off. The entire session was lovely and I did enjoy it. My therapist knew exactly what she was doing and I had no experience of pain or discomfort. My skin did look glowy at the end, as if I had applied quite a bit of luminous drops all over, and I believe that is due to the fact that my skin is thoroughly clean and sufficiently hydrated. 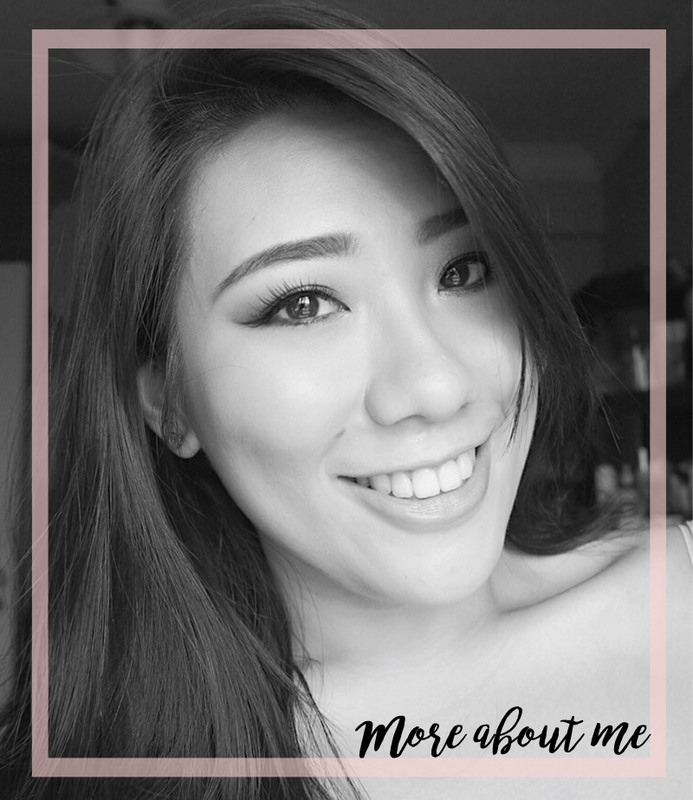 My skin also felt smoother which I realised when I washed my face and applied my skincare that night. There is no downtime to this treatment and I did not experience any redness (especially around my cheek area which I always get!) so I simply applied some light makeup and headed out. I did notice that my skin looked radiant for the next few days as well, with the appearance of a little pimple on my temple. This, by the way, is perfectly normal and expected as the gunk from the deeper surfaces of the skin will rise to the epidermis from the pressure and improved blood circulation. These underlying gunk was simply accelerated to the surface with the pumping of oxygen into the skin (do note that even without this treatment, the gunk will still cause a pimple eventually). I also noticed that my cluster of acne on my left cheek became less red and the bumps were reduced in size. 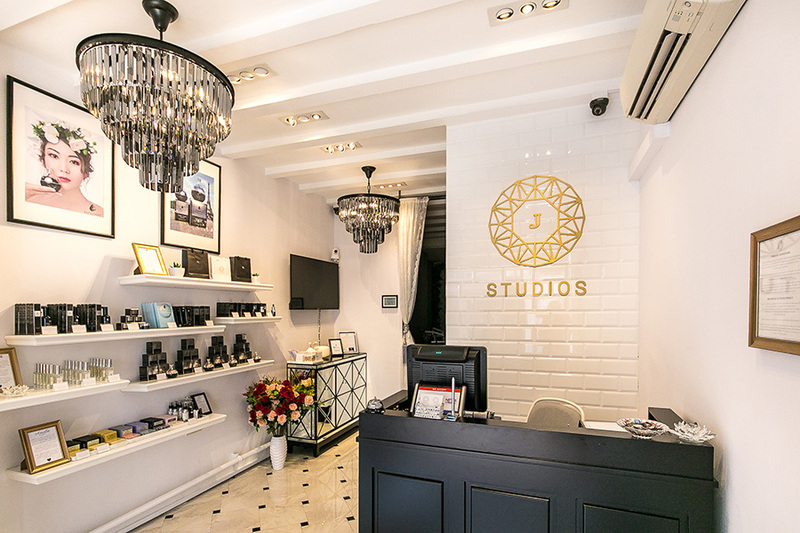 Overall, I did enjoy the Oxygen Deep Cleansing Facial from J Studios. This is a pretty quick and easy way to deep cleanse the skin without any abrasives (think : microdermabrasion) and pain and to help maintain the skin. I also do think this is great option for people with acne as it really helps to remove the gunk in the deeper layers of skin that causes the clogged pores. 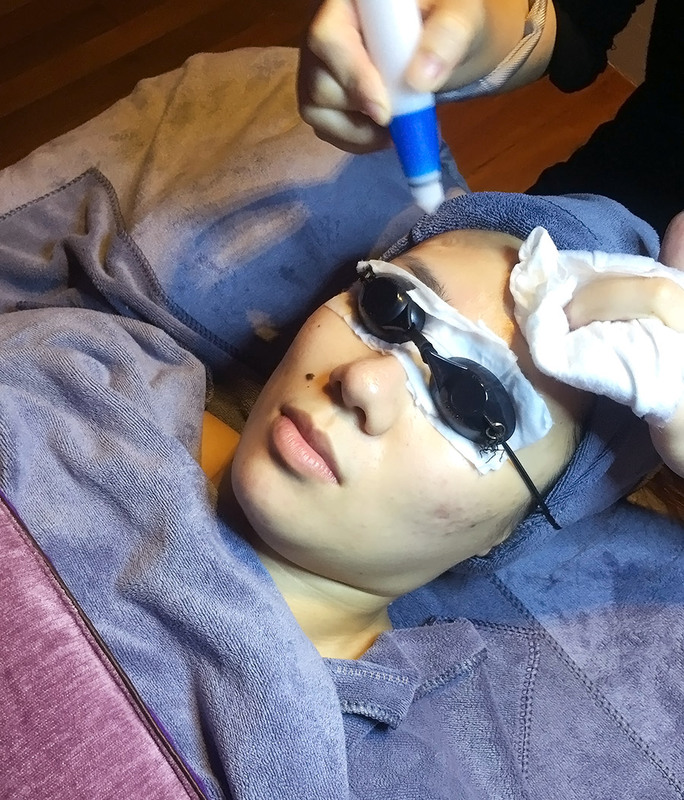 I have a friend who suffers from a acne and she did tell me that she dreaded her facials (but she knew that she desperately needed it) as the extraction process was terribly painful. I know, as I've been there. In fact, my extraction wasn't properly done and I ended up with quite a few acne scars on my cheeks. This treatment would be complimentary to any acne treatment, in my opinion. The entire oxygen facial takes about 90 minutes and you can try it out for the first time at SGD 88. 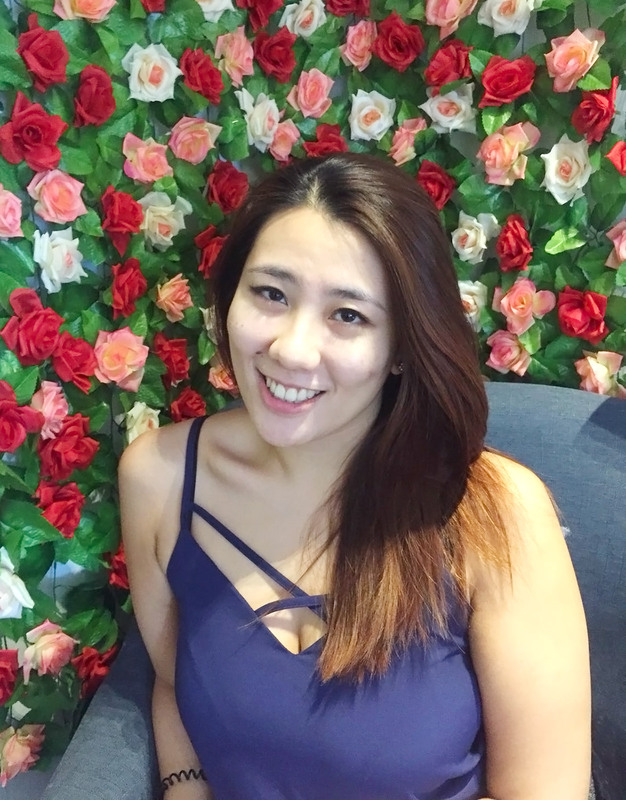 For you guys, if you're interested, you can quite SARAHOXYGEN (till 28th Feb 18) when you get an 8 session Signature Oxygen Treatment Package and you will get 1 additional session for free. Facial care is important for skin maintenance and should be a regular part of your beauty regime. This oxygen facial does a great job and it isn't too pricey at all. The flagship store in Bugis is also pretty convenient and accessible (they also have an outlet at Jurong for those of you in the west). So if you're looking for affordable and professional facial care services in Bugis, do keep this in mind. 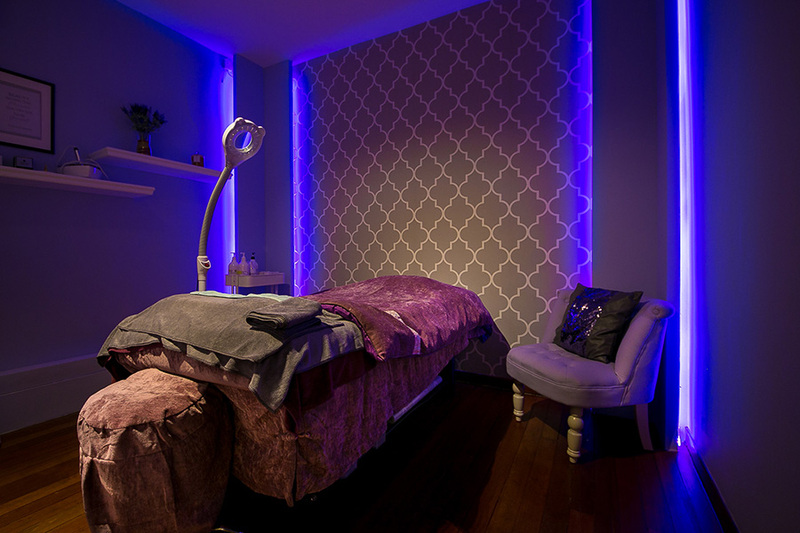 For more information of the J Studios Signature Oxygen Deep Cleansing Facial, you can check out their main website here, Instagram and Facebook. Have you tried an oxygen facial before? **Disclaimer: Facial treatment was sponsored by J Studios for review consideration. I am not compensated or affiliated to the brand. The above review is based on my true and honest opinion and it also contains information from the brand itself.